I just had to write this post for all the lovely ladies out there who simply have given up on some really fab outfits because of one common reason – that annoying tummy bulge. Why does all the fat deposit at the midsection anyway? No clue about that but I do know how hard you try to lose those extra pounds. Only if that weight would disappear as fast as it comes! Well, that stubborn tummy bulge should not decide what we should and should not wear. This is our revolt against tummy flab! Here’s how to conceal the extra pounds till we lose them. I know you are working on it…err…at least thinking about it. Anyway, here we go with part 1 – Topwear. 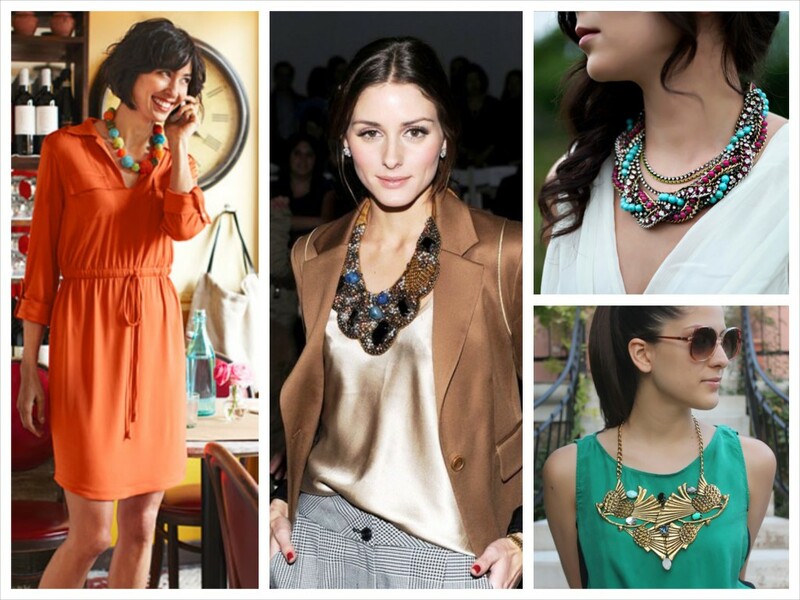 Wearing an interesting neckline, a funky neckpiece or a stylish cut shifts people’s attention away from the problem area. Also, a high waist, also called the Empire waist takes focus away from the belly. Choose a free flowing fabric which will not cling to your body. 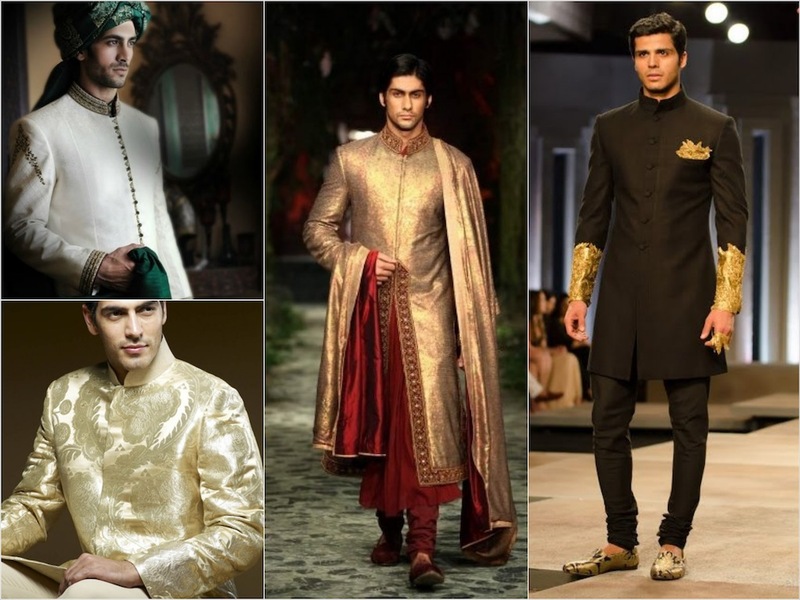 Look for formal and semi formal pieces in silk, chiffon and georgette. Experiment the trick on your best buddy. My buddies are my best guinea pigs! Tunics will never go out of fashion. They can so beautifully conceal the problem area around the lower abdomen and thighs. When buying a tunic, look for one which accentuates your upper torso but doesn’t cling to your stomach. A lot of flare is not what we need, just a simple, classy cut that widens towards the hemline. A trick – Create a chic layered look by wearing a fitted tank top or a sleeveless tee underneath a slightly loose (read comfortable), flowy blouse. The tee will tuck in the flab while the outer layer will gracefully cover fall over the stomach. Got love handles? Let’s put them to good use at home as their public display will do no good to the public. If we want to give people something to talk about, it better be how awesome we looked that evening. 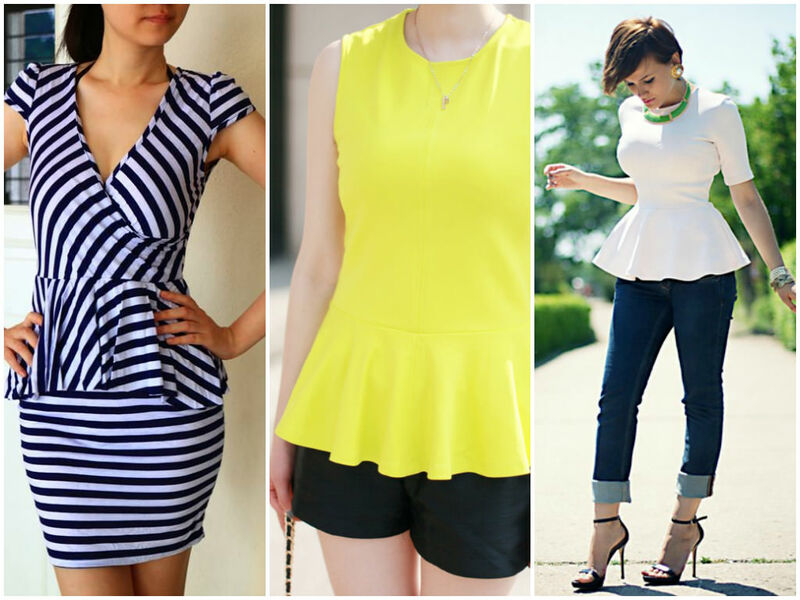 Originally popular in the 1980’s, peplum has become quite a rage in the past one year. 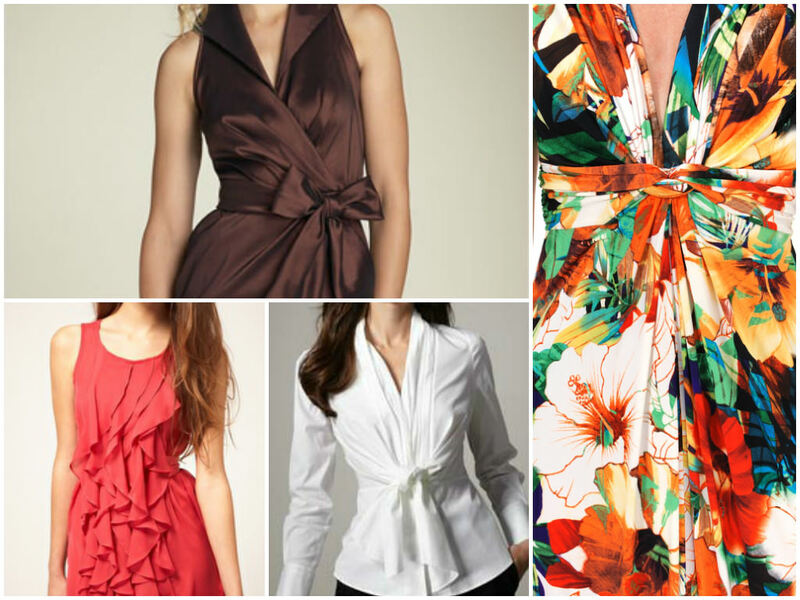 While looking for a peplum tunic or dress, pick a piece which is neither too stiff nor too frilly. Pair your peplum with a fitted skirt or pants for a fab look. The right fit adds grace, accentuates the waist without looking like a frock and also conceals the extra pounds around the midriff. And yes there are peplums for women with a large posterior as well! Blouses with a band at the hem are great way to hush up tummy fat. The top falls away from the stomach thus creating a beautiful flowy façade. The best thing about banded tops is that they let you an breathe easy since you don’t have to pull in to create a flat look. One advice though – Stay away from the balloon shapes. Prints can camouflage a protruding tummy really well. 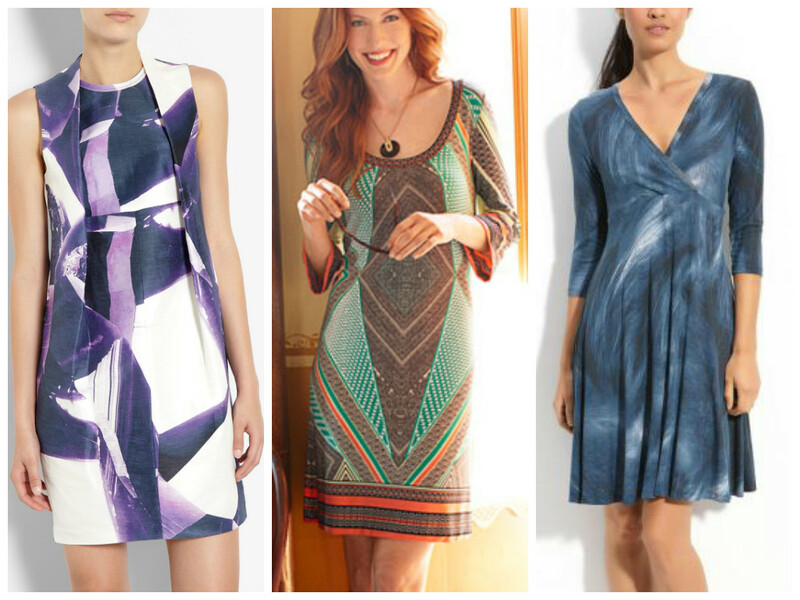 Uneven prints, geometrical patterns, animal prints and dark colors will do the trick. If choosing stripes, the narrower the better. Wearing a very large or loud print is best avoided if you want to keep it subtle. My favorite trick is to pair a printed top with a bottom in solid color. Next up – Part 2 | Bottom Wear and Inner Wear That Helps Hide Tummy Fat.